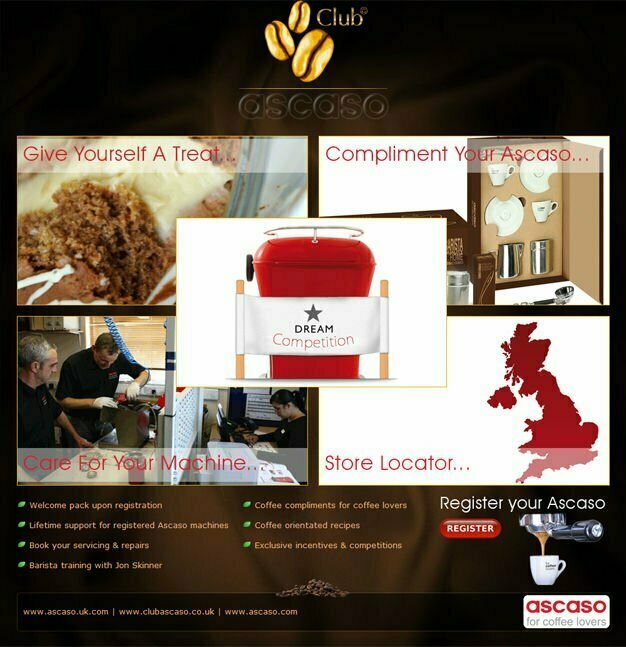 Ascaso has been manufacturing coffee machines since 1962, when the family business was first begun in Spain, and has now expanded to over 50 countries worldwide, to become known as a leader in designer espresso machines today. The Ascaso brand resonates with exceptional values of quality and strength, coupled with the beauty and brilliance of the Spanish artisans. The durability of Ascaso machines are well known among Barista’s, Espresso enthusiasts and coffee connoisseurs, with new designs and complementary equipment adding to Ascaso’s range of products in recent years. Ascaso coffee machines produce quality coffee and additional coffee grinders, espresso cups and spoons are made for both the private and commercial sectors, to guarantee a complete coffee experience for years to come.